Who is Affected by the Party Wall etc Act 1996? The Act has the dual purpose of enabling building works to progress, while at the same time offering protection of property and other interests to neighbours (adjoining owners). 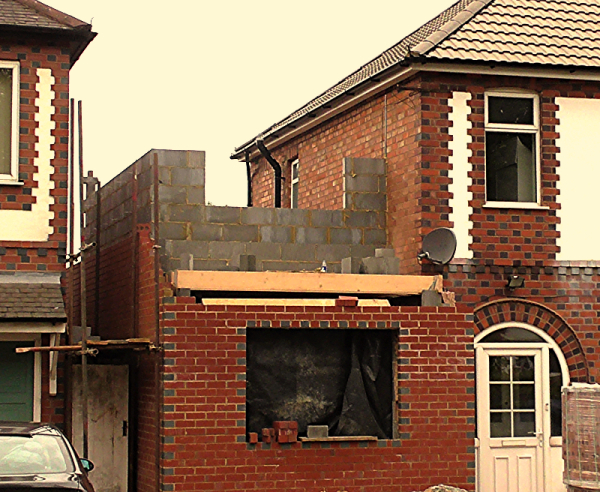 If you own property in England or Wales and you are planning to carry out excavations on the land, build a new wall on or at the boundary, or do any work that affects a shared, "party" wall, then the legislation will probably apply. If work falls under the Act, as a building owner (the property owner who wants to carry out the work) you are obligated by law to notify relevant neighbours. There is no reason why you shouldn't serve a Party Wall Notice yourself, but if you serve the wrong notice, or serve it incorrectly, it could later be declared invalid and result in extra delays and costs. Matters also become more complicated if an adjoining owner dissents from or simply ignores a notice. In this event, a dispute arises, at which point the Act requires the statutory appointment of a surveyor, or surveyors. The role of the surveyor is to resolve the dispute, and a vital part of this resolution process is the drafting of a legal document known as an Award. For work that comes within the scope of the Act, adjoining owners can expect to receive written notice(s). It is your right to be informed about any building projects that could have a direct or indirect impact upon your property. Notice gives you the opportunity to consent or dissent based on the information supplied. If, as an adjoining owner, you dissent from a notice or do not respond to it within the time allowed, a dispute arises and a surveyor or surveyors must be appointed. His/Her/Their statutory duty is to resolve the dispute by means of an Award. So even if you object to your neighbour's proposed work, an Award will protect your rights, your property, and help to address other concerns you may have. Maintaining good neighbourly relations is always advisable. After all, when the building work is finished, you still have to live next door to each other. As a building owner, if possible, talk to your neighbours to see if matters can be resolved at the notice stage, avoiding a dispute and its related costs. At Party Walls Leicestershire we understand that, sometimes, talking it through with neighbours isn't easy. And with our substantial experience in interpersonal and communication skills, we believe this is an area where we have something extra special to offer. While success can never be guaranteed, our primary aim in the first instance is to secure consent for notices. The whole business of building works taking place next door can be a worrying time. You may have objected at the planning stage, but the local authority have given approval. Now you've been served notice under the Party Wall etc. Act 1996. What are your options? Where do you stand legally? At Party Walls Leicestershire, adjoining owners are equally welcome to use our free 30-minute telephone consultation service. There are no obligations, no pressure. Just a friendly talk about the process, your rights, your concerns, and the options open to you. Exactly What Types of Work Does a Building Owner Need to Serve Notice For? Section 1 of the Party Wall etc. Act 1996 relates to conditions where nothing is currently built at the line of junction (boundary). OR, there are built works but only in the sense of a boundary wall. For the purposes of the Act, a boundary wall is considered to be a wall built up to the boundary, and not straddling it. Also note that wooden fences do not count. If property divisions are marked by a wooden fence, the line of junction is still effectively not built on, as in the image to the right. The essential definition for notices under Section 1 is that a building owner intends to build on or up to the boundary. If the intended works are to be near the boundary, but set back from it, then Section 1 does not apply. Any proposed building works, where the above boundary conditions prevail, must be preceded by a Line of Junction Notice served on adjoining owners at least one month before work begins. Conditions described under Section 2 include walls sitting astride the boundary of two or more properties. This could be a garden wall, which may look the same as a boundary wall, the difference being that the boundary runs through the wall; so more than one owner is responsible for its upkeep and has rights over what happens to it. Note: Although wooden fences do not count, walls sitting astride boundaries are referred to in the Act as Party Fence Walls. More obvious examples of party walls are the shared walls separating semi-detached and terraced buildings. Less obvious examples (party structures) are the ceilings and floors separating flats or apartments. And most loft conversions come under the Act, where there is a necessity to cut into party walls in order to insert steel beams. Some minor works do not need to be notified. Examples are re-plastering, putting up shelving or wall units, or fitting power sockets. Any relevant works to party walls or structures must be preceded by a Party Structure Notice served on adjoining owners at least two months before work begins. Work described under Section 6 relates to circumstances in which a building owner proposes to excavate, or excavate for and erect a building or structure, within specified distances of the properties of adjoining owners. The key distances are 3 metres and 6 metres. Whether or not Section 6 of the Act applies, depends on the depths of adjoining owners' foundations relative to the intended depth of foundations (and excavations) of the building owner's works. Any excavation, or excavation and construction, within the scope of the relevant criteria, must be preceded by an Adjacent Excavation Notice at least one month before work begins. Please Note: The information on this website is general and not complete, intended only as a guide. Interpretation and implementation of the Party Wall etc Act 1996 can be complex. No responsibility can be taken for any loss or damage suffered as a result of acting upon any inaccuracies contained herein. It is always advisable to seek the services of an experienced Party Wall Surveyor. If you are planning to serve your own notices, please carefully read the Department for Communities and Local Government Explanatory Booklet and the Party Wall etc. Act 1996 to make sure that you are serving the right notice and serving it in the right way. Depending on the nature of your proposed work, you may need to serve more than one type of notice. Ensure that notices contain the name(s) and address(es) of the adjoining owner(s), a description of the works, and a date on which the works will begin (allowing for the full duration of notice periods). Delivering notices to an adjoining owner by hand is considered to be correctly served under the Act, as is delivery through the postal system (get proof of postage! ), but pushing a notice through a letterbox is not acceptable. Another potential pitfall opens up if you do not serve notice on the legitimate owner or owners. If in doubt about who the owner is, reference to Land Registry records will help, although these records may not necessarily be up to date in light of recent changes. If, for instance, the adjoining property is co-owned by a couple who are separated or divorced, and one lives at a different address, they will both still have the right to receive notice. You must also be certain that the person living at the adjoining property is the owner and not a short lease tenant. Tenants do not qualify as owners unless their lease period is for longer than twelve months. Even if this is the case, and you serve notice on them, the freehold owner of the building must also be traced. The above paragraphs are only meant as a guide to give an idea of how complicated serving notices can be. Legally, there is no reason why a building owner shouldn't serve their own notices, but it is advisable for an experienced Party Wall Surveyor to act in agency in this matter. According to the Act, surveyors are not appointed until, or if, a dispute arises. It is a good idea, however, for an experienced Party Wall Surveyor to serve the notices (acting, in this respect as an agent on your behalf). That way, you will have the assurance of the job being done correctly, as well as knowing that in the event of a dispute, you already have a sufficiently qualified professional in place. 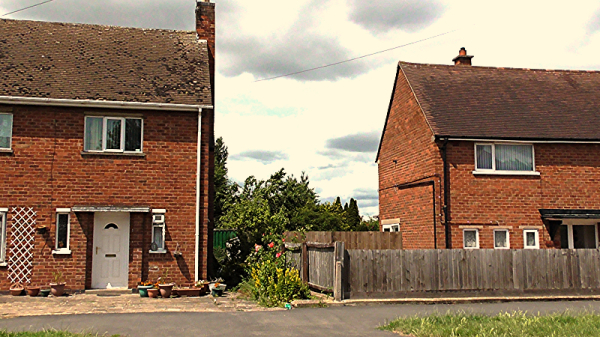 It is important to understand that, if a dispute arises, a Party Wall Surveyor is bound by statutory duty. Their primary role is to resolve disputes in accordance with the Party Wall etc. Act 1996. He or she must act impartially. A building owner's concerns and best interests will be represented, but only as far as the Act allows. An adjoining owner's rights and interests must also be provided for. In most cases, a surveyor or surveyors will want to carry out a Schedule of Condition of an adjoining owner's property, which affords protection for all parties. Where one surveyor is the agreed surveyor for both the building owner and the adjoining owner, he or she will draw up the Award. In cases where the separate owners have separate surveyors, the surveyors will both have a hand in drawing up the Award. If, for any reason, they are unable to agree an Award, a Third Surveyor will be called upon. Usually the Award will be drawn up by the agreed surveyor or the two separate surveyors. It may determine the right to execute any work, the time and manner of executing any work, and "any other matter arising out of or incidental to the dispute including the costs of making the award". The Award is legally binding, but may be appealed by the building owner or the adjoining owner at the County Court within 14 days. How Can Party Walls Leicestershire Help? To further discuss any Party Wall issues, please contact Party Walls Leicestershire on 0333 9000 310 for a free 30-minute consultation. You can also contact us on 07470 347849. If you prefer, you can make an inquiry using the contact form on the Contact page. Either way, if it sounds as if Party Wall Notices or any of our other services are indicated, you will also be offered a free initial site visit and assessment. For a full schedule of our services, please see Services & Fees .